Free swimming is back for children and young people at Wiltshire Council leisure centres this February half term. The scheme, which enables children to take part in enjoyable fitness at no cost, runs during the school holidays throughout the year. To get involved, people should pop down to their local leisure centre and register for a free swimming membership. The February school holiday takes place 18 – 22 February. The scheme is open to all under 16s, and once registered they are entitled to one free swim per day. 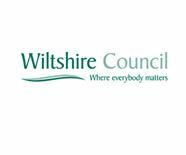 Wiltshire Council cabinet member for leisure, John Thomson, said: “We are proud to once again offer free swimming for children during the holidays. “Not only does this provide them with a great way to keep them entertained and make the most of the holidays, it also has massive benefits for health and mental wellbeing. From February half term all swimming pools will now aim to provide at least four ‘fun and floats’ sessions per week that are free for under 16’s alongside all family swims, lane swims, standard disco swims and all welcome sessions. Inflatable sessions will now be a chargeable session, as are instructor led sessions and Aquatots.